AUSC Founder and President's Office Publishes the new AUSC International Postal Address 'P.O.Box: 6998 KIGALI-RWANDA,August 11th,2017. AUSC President and Founder shares Announcement for the new AUSC International Postal Address P.O.Box: 6998KIGALI-RWANDA. Subject: AUSC President and Founder shares Announcement for the new AUSC International Postal Address P.O.Box: 6998KIGALI-RWANDA. 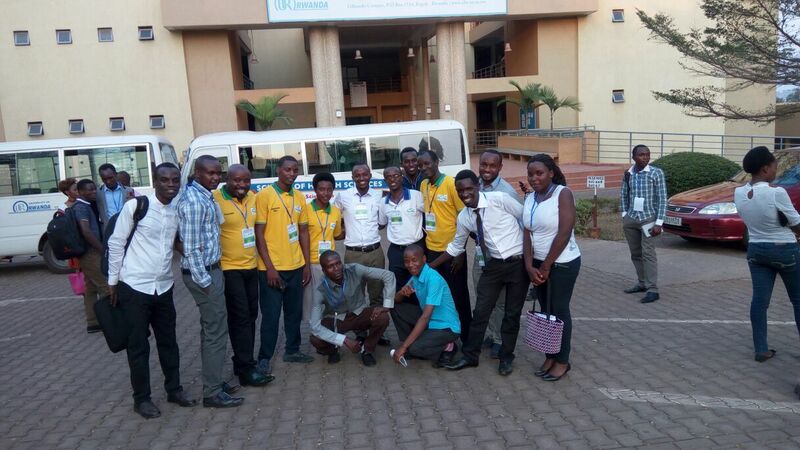 African Union Students' Council (AUSC): 6998 KIGALI-RWANDA. The new postal Address is published to make widening of trafficking papers ,hard copy reports , admissions and applications hard copy materials , endorsement request hand signed and hand stamped documents with all kind of transferable bags and packages that can be designed to reach the AUSC International Communication Office in the Office of the AUSC President and Founder will be allowed to be posted on this new AUSC International Postal Address above . 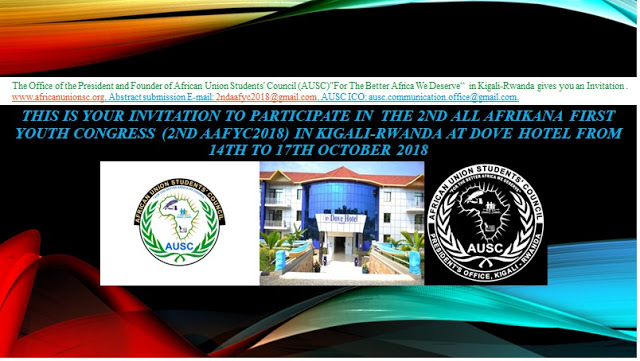 Therefore ,you will be having to mention this new AUSC International Postal Address on the Letterhead and everything from any AUSC Office across the World as well mentioning the location and name of the City and Country in which stays the AUSC Office which is concerned . 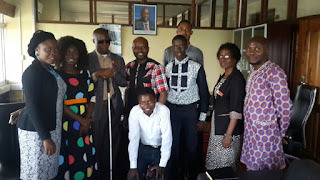 In case the couriers come to Kigali-Rwanda while it would have been sent to the other Country where the AUSC Office concerned stays ,the AUSC International Communication Office will have to distribute those couriers accordingly in order to reach the dedicated AUSC Offices . 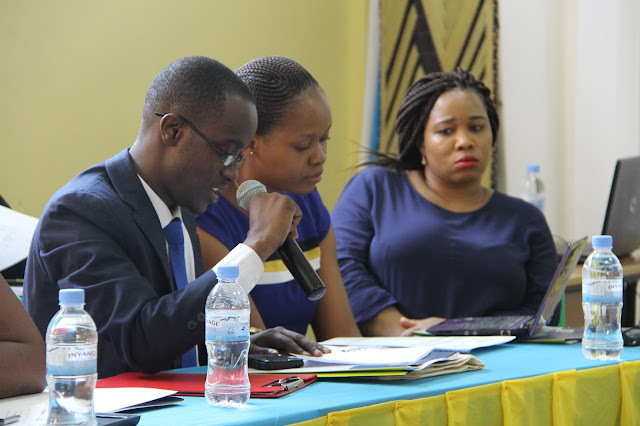 However ,any individual who will decide to use the AUSC International Postal Address in his or her own interest which is different from AUSC Leadership purpose ,will be charged the transfer fees of $50.00USD before to be resent or withdraw any courier from the AUSC International Postal Address Store located in Kigali-Rwanda. We hope the announcement is satisfactory with published conditions regarding any traffic use of the AUSC International Postal Address . Or via whatsapp :+250736196204 from the Office of AUSC President and Founder . 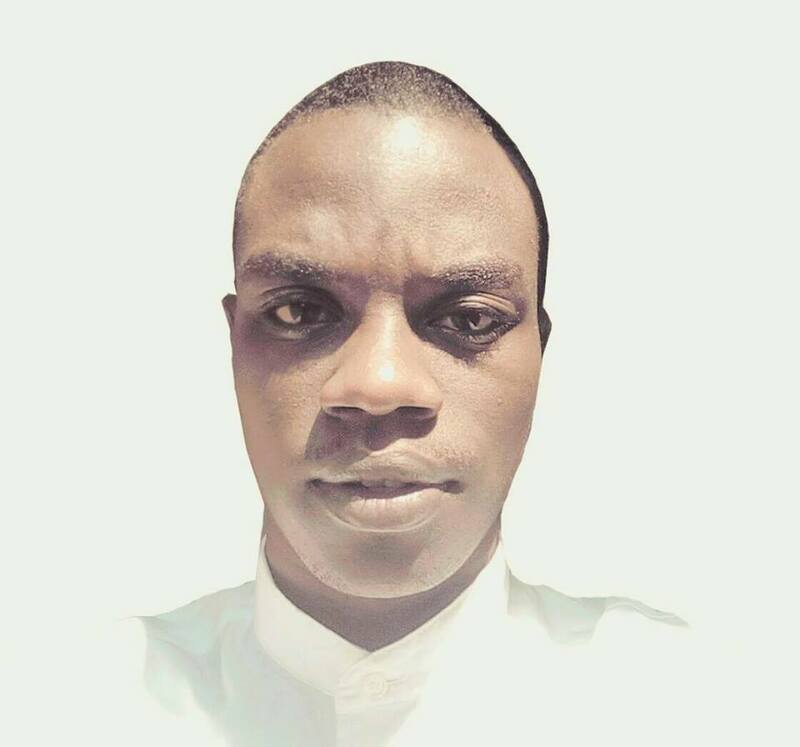 President and Founder of African Union Students' Council(AUSC)"For The Better Africa We Deserve"